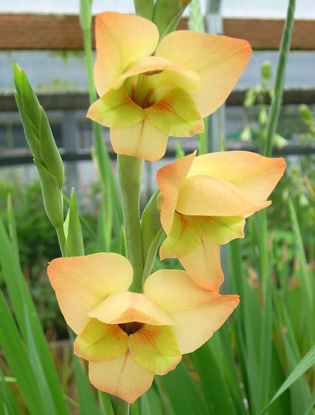 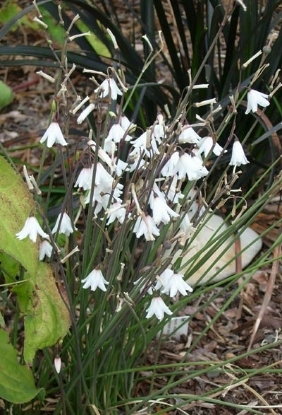 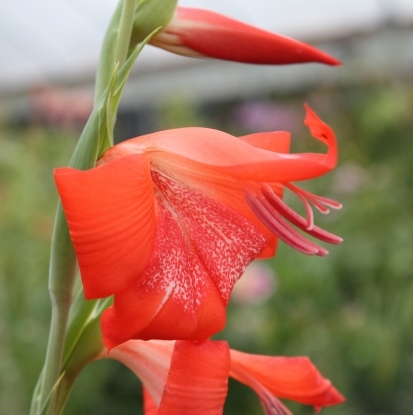 -May be shipped as bare root corms (3 corms per plant) January thru April- Along with 'Boone' one of the hardiest glads. 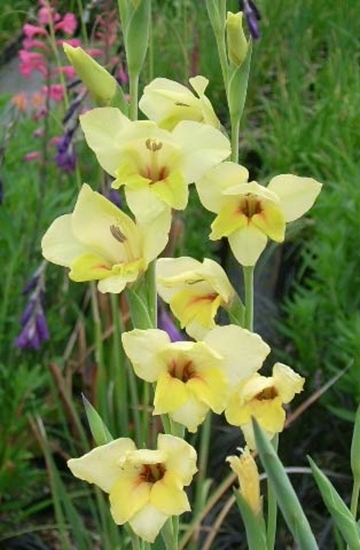 Soft yellow flowers with red marks toward the throat on sturdy stems. 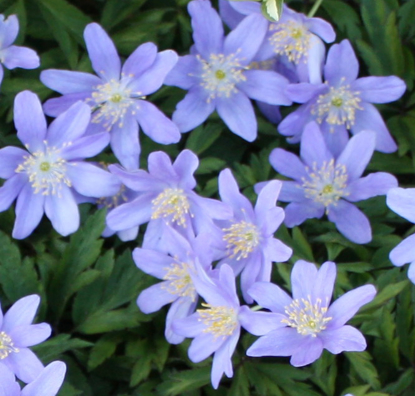 Easy to grow in well drained soil, making nice clumps.